There are many reasons why people choose to have a teeth makeover. One of the main reasons is to improve their appearance. Hence, it comes to us as no surprise that several well-known celebrities have made a drastic change to their teeth. Here are five of the celebrities who had an incredible tooth makeover which has significantly altered their looks and made a significant impact on their career and life as well. The American Rapper, Cardi B got her teeth fixed after facing several criticisms. Finally, she saw a dental doctor, Dr. Catrise in 2016. American rapper, Cardi B after getting her teeth fixed. Image Source: Bet. 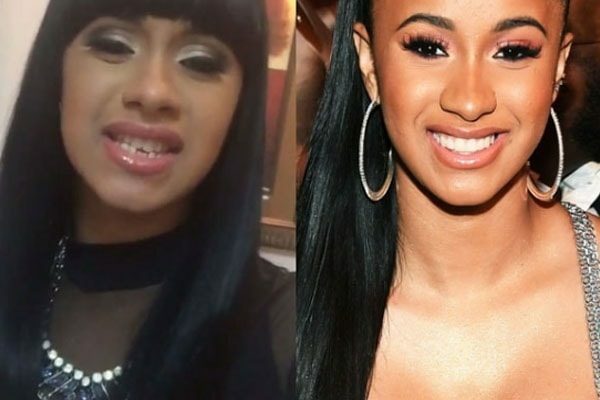 Cardi B got her teeth fixed for $40K, and with the help of Dr. Catrise, she got her Bardi smile. 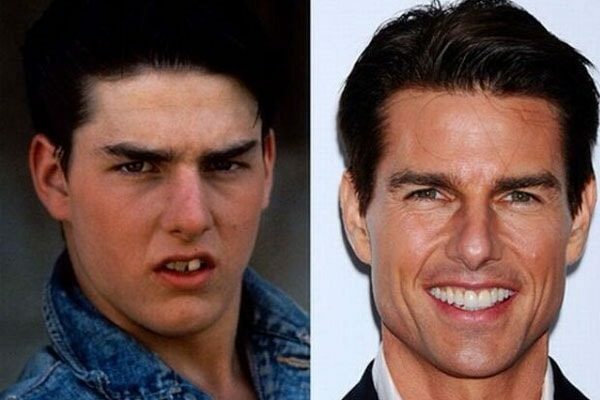 The iconic Hollywood legend, Tom Cruise started out his acting career with discolored and out aligned teeth. But nowadays he shows an undeniable set of white pearl teeth. Cruise had an extreme make cover. His veneers and crown look attractive and have a pearl white make up to his face. 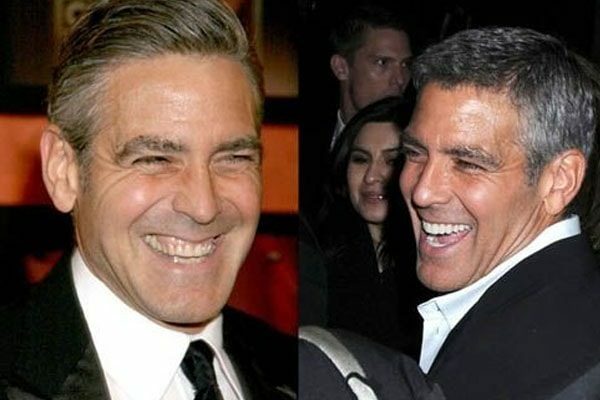 The Hollywood dashing actor, George Clooney also had an impressive enhancement with his new Hollywood smile makeover. A-List Hollywood heartthrob actor, George Clooney’s teeth then and now. Image Source: Pinterest. Clooney had a porcelain crown which he used to grind his teeth. But he chose a whiter shade for his teeth to make him more attractive and younger. He definitely looks mature but younger due to his new teeth makeover. The famous American actress, Lindsay Lohan is well known for having bad teeth in the past. Her facial features especially her teeth did not match her overall makeup. However, her smile, had a drastic change when she made her porcelain veneers. 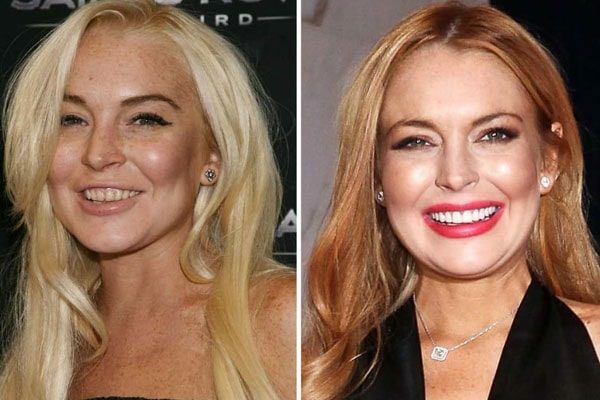 American actress, Lindsay Lohan also had a teeth makeover. Image Source: The Daily Beast. The beautiful actress, Lohan chose a pearly white color which matches her pale skin. The new look has positively enhanced her overall personality. The talented singer and actress, Miley Cyrus had an extreme dental makeover for her teeth. 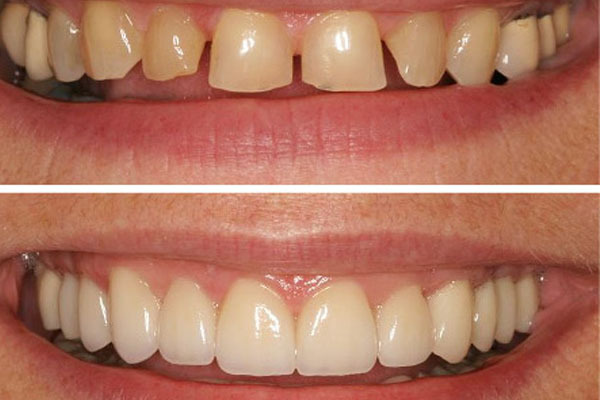 She went all the way with a full complete dental adjustment with porcelain crowns and veneer. 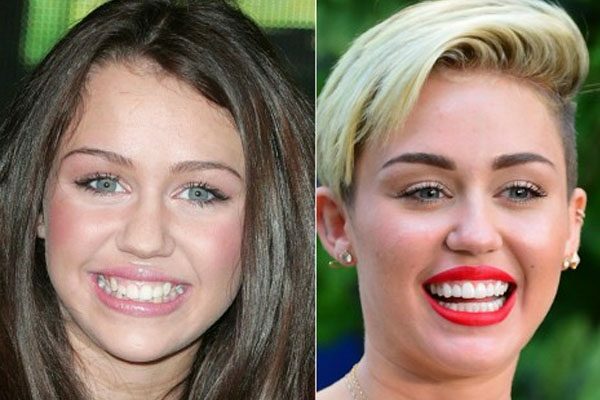 After her dental makeover, Miley Cyrus has an undeniable smiling charm with her porcelain crowns.